South Greenland’s largest town has 2,835 inhabitants (2016). 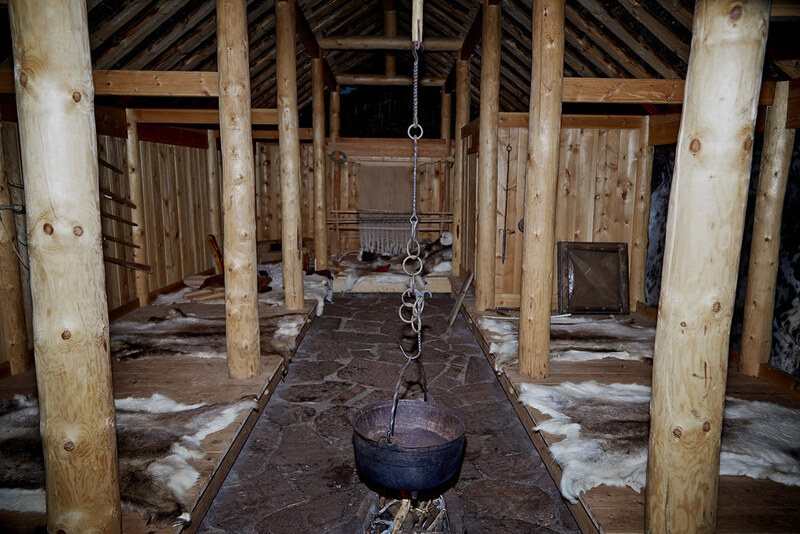 In Greenlandic terms the town has a mild climate and allows for the growth of vegetables and smaller trees. In the local museum you can learn about the UNESCO World Heritage Site ‘Kujataa’. 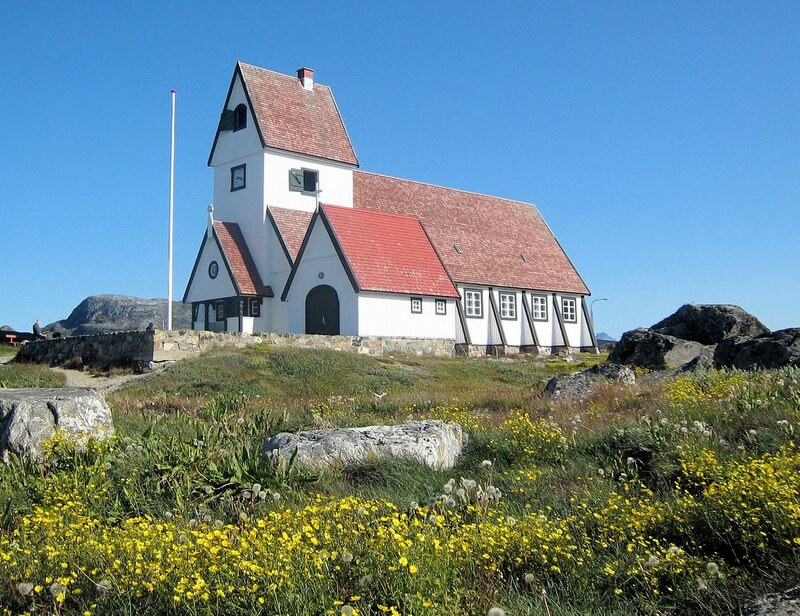 Near Qaqortoq you will find very interesting places like Hvalsey Church ruin from the viking period and Upernaviarsuk agricultural research station. Qaqortoq is one of the places in Greenland which gets visited by most cruise ships. Check the call list for 2017 and 2018 here. Narsaq means ‘the plain’ and has, unlike most inhabited places in Greenland, large areas with even terrain, and even grass fields. 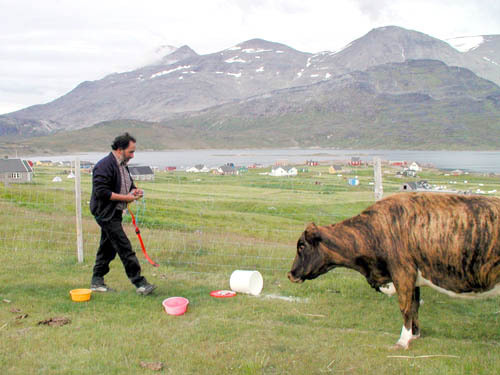 The grass is used for local domestic farm animals like sheep, horses and cattle – the only commercial cattle herd in all of Greenland. Since the area around Narsaq in July 2017 became a UNESCO World Heritage Site, a UNESCO visitor’s centre has been considered placed here. Narsaq is visited by Hurtigruten, Ponant, Cruise & Maritime Voyages and Plantours Kreutzfarten during 2017. 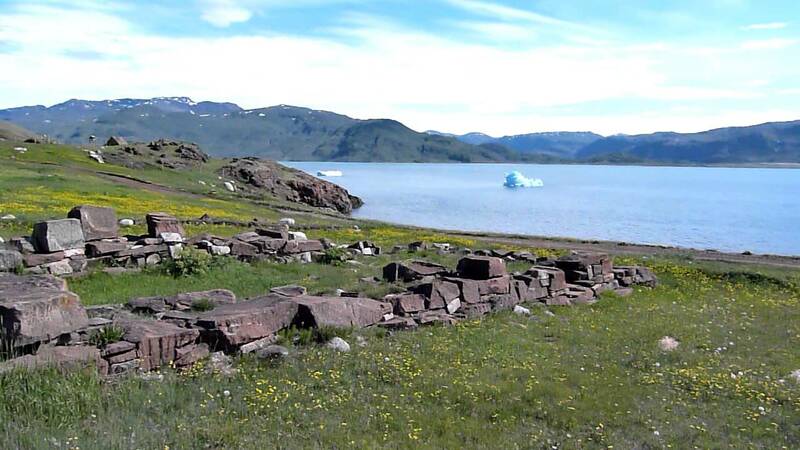 This was the place where Eric The Red in 986 established the first viking settlement in Greenland. He named the place Brattahlið. He is also the one that named the new country ‘Greenland’. Qassiarsuk is the natural epicenter of the UNESCO World Heritage Site ‘Kujataa‘. In today’s Qassiarsuk, you can still see the ruins from that time, a reconstruction of Tjodhilde’s Church, and a viking longhouse. Hurtigruten will visit Qassiarsuk during 2017. Under code name Bluie West 1, the US Air Force constructed the airport in 1941, during WW2, where it acted as stepping stone for war planes on their way to Europe. Today the airport is the main airfield in South Greenland, with direct flights to Iceland and Copenhagen during summer. Ca. 96 people has permanent residency in the settlement. 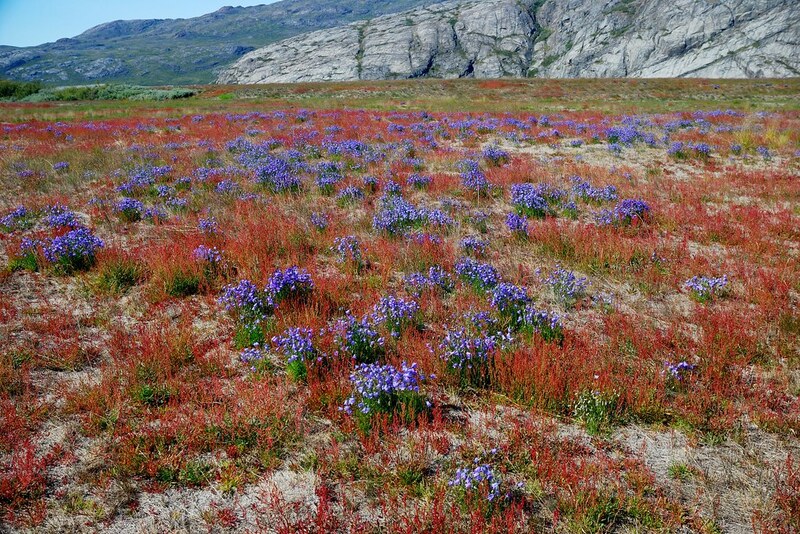 The climate is mild subarctic, and there is a lovely flower valley about 2 miles to the north, which leads on to an inland glacier 4 miles from the settlement. 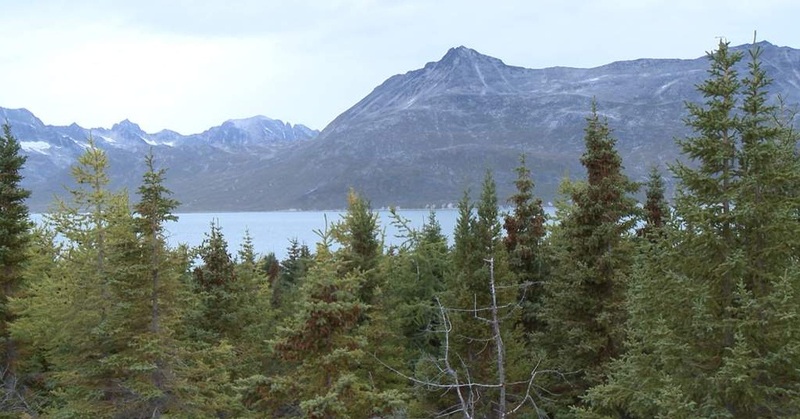 Narsarsuaq also host a tree research plantation. Hurtigruten, Cruise & Maritime Voyages, Quark Expeditions, Fred. Olsen Cruise Lines and Silver Sea will visit Narsarsuaq during 2017. A small sheep farm settlement 10 miles south of Narsarsuaq airport. It’s one of the most lush places in Greenland, and in summer you can often experience days with temperatures around 70º F. Horses and sheep roam the fields, and draws historical lines back to when Eric The Red established the viking settlements in the area, which is now UNESCO World Heritage Site. Hurtigruten will visit Igaliko during 2017. Famous for it’s jagged peaks and nearby Tasermiut fjord, with its huge vertical granite cliffs, perfect for climbing and base jumping, this is a small town with only 1,221 inhabitants. The name means ‘place of polar bears’, though the big predator very seldom get close to the town. 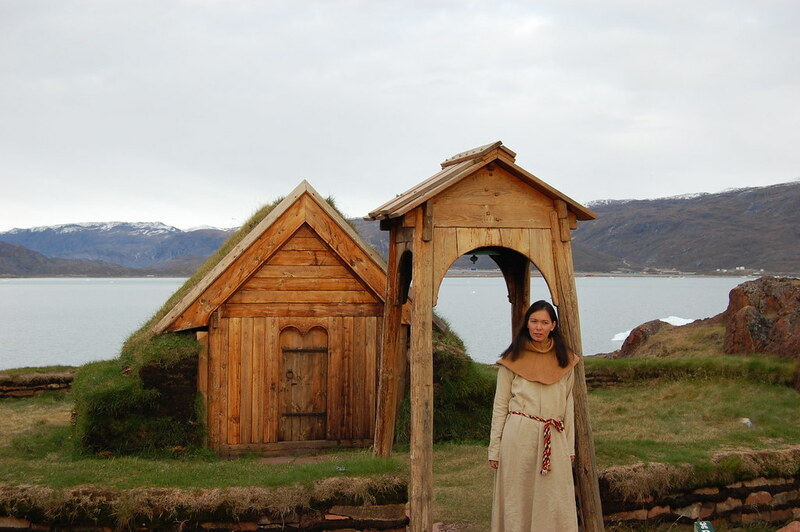 Nanortalik has an interesting open-air museum and a beautiful wooden church. Windstar Cruise, Transocean Kreutzfarten, National Geographic Expeditions, Holland America Line, Cruise & Maritime Voyages, Fred. Olsen Lines, Silver Sea, Seabourn and Viking Ocean Cruises will visit Nanortalik during 2017. A very small Settlement with only 41 inhabitants (2016), located 15 miles east of Nanortalik. The settlement’s school, general shop and general repairs workshop services not only the settlement itself, but also a number of nearby sheep farms. Due to the mild climate in the area, the Qinngua Valley, ca. 10 miles north of the settlement, has the only natural forrest in Greenland, having Greenland’s warmest climate. Hurtigruten will visit Tasiusaq during 2017. This small settlement of ca. 100 people, is located in one of the world’s most stunning fjord systems, Prince Christian Sound at the southern tip of Greenland. Steep mountains with jagged peaks rise to both sides of the fjord, and this inspirational short-film will give you an impression of what experiences you can expect on a cruise trip in South Greenland. Among others Silver Sea Cruises and Fred. Olsen Cruise Lines will pass by Aappilattoq on their cruise through Prince Christian Sound.